These are all adorable. I have a question, do you stamp on every page of the notepad? Does it take forever? It sure looks nice though... I rekon I'll have to stamp on every page of a notepad. Your tree card is simply adorable! Love all the wonderful details. The other project are great too ~ this is my first time to your blog...looks GREAT = )!! Hey girl, awesome club projects!!! Thanks so much for the kind words, I sooo appreciate it. You know, we are having the same weather here...stay safe! I'm betting these club projects are a great hit! I know that mine would surely love these projects! Kendra .. I love your Christmas card! Great idea to add the DDiamonds to the liquid applique too! Woooohooooo! oh these are greatness! i love angie juda! i was going to actually make some of those post it note holder thingies today! cold here, too, but not as bad as where you are. trying to decide if i want to stay home and stamp all day or go to garden ridge and recollections and then stamp all day! it's so nice and cozy in the house and i still have my pj's on! You are so creative! 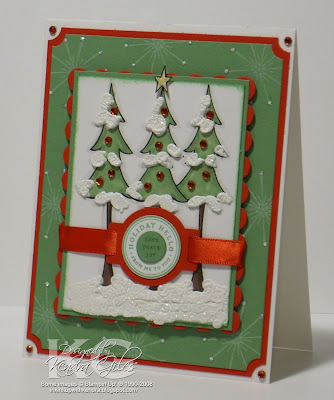 Love this tree card, you give me inspiration and a temptation to copy your ideas...at least the "idea" of them! 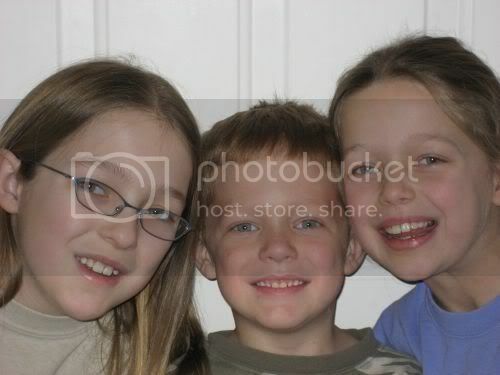 Thanks for sharing on your blog! All of your projects look GREAT too! Love your tree card!!! It is heavenly!!! Is there a charge for cutting your legal pads in half??? I had $4.00 worth of pads cut in half today and it cost me $5.75!!!!!!!!!!!!!! It took the printing shop all of about 2 minutes to do it!!! Awesome projects! What exactly are the pepperment pattie sandwiches?? whimsicalexpressions@yahoo.com; if you have time to answer. :D Thanks for sharing all you do! Awesome projects, and I love your pretty card too! !